Finding our footing can sometimes be a challenge. What shouldn’t be hard? Finding the footwear necessary to take those footsteps in. So, what better way to step into the future than with this iconic staple from the past. Whether we’re chasing waterfalls, or looking to just spice up our lives, this is the only piece we’d recommend stepping into spring and beyond in. We’re done our research and found a style staple not only we, but hundreds of reviewers insist is the most versatile shoe in their entire wardrobe. It’s not just any sneaker, though: The platform style is made for wearing with just about everything! Remember to thank Us when slipping into the slick kicks. See it: Grab the Steve Madden Gills Platform Sneaker for $80 available at Nordstrom! It’s not quite a comeback — platform sneakers have had an A-list following for years! The sneakers have attained quite the fanbase among celebrities, including the Spice Girls, Gwen Stefani, and most recently, Gigi Hadid. The Steve Madden Gills Platform Sneaker is the best option for shoppers looking to master off-duty style. The platform sneaker features an embossed bumper at the toe and heel which amps up street style with a sporty attitude. 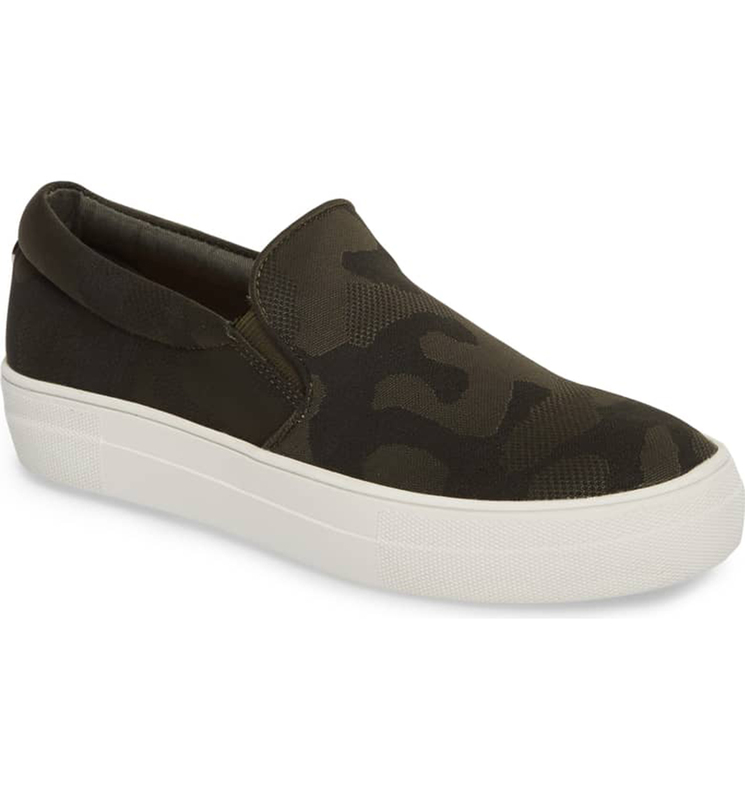 The slip-on sneaker is a stylish staple with its low platform, which provides just a touch of height. With a near perfect, 5-star rating, it is not just Us fangirling over these stunning sneakers! Hundreds of reviewers can’t stop singing the design praise. The countless reviewers seem to be in complete agreement that these sneakers are both comfy and stylish. Reviewers not only consider these sneakers a fan-favorite, but their absolute favorite sneakers of all time. One reviewer summed it up best: “These adorable shoes are the epitome of ‘casual cuteness. '” While we can’t help but wish we thought of the catchphrase first, that certainly doesn’t stop us from agreeing with it! These beautiful sneakers are available for purchase in seven sensational colors. They’re so versatile (and so beloved) that shoppers even admitted to purchasing multiple shades to wear with different outfits! The platform sneakers can be seen and purchased in shades and textures including black leather, black suede, camouflage, grey suede, natural raffia, navy suede and a pearly white leather. There is surely something for every type of fashionista! The sneakers come in suede, leather and calf hair, perfect for mixing it up! While it’s impossible to select a favorite color, we found a few options we couldn’t help but be drawn to. The Natural Raffia features straw-like detailing, which would be perfect for summer. We’d also say the same for the black suede which is such a fun and fantastic spin on a classic concept. The white platform is paired perfectly with a rich, suede blacktop. How chic and oh-so-sleek! Lastly, the camouflage is a great option for easing into spring. Looking for style inspiration? We got you covered! Master monochromatic styling with pairing all-white platforms with an oversized sweater and loose-fitting pants. It’s the perfect easygoing look for travel. Unleash your inner A-lister with chic sunglasses and a classic tote, too. Shoppers looking for more of a casual concept? Master Gigi Hadid’s signature street style with a plain white tee, high-waisted denim cutoffs, and a chic crossbody bag. Top it all off with a leather jacket tied around the waist. Bonus point: mix in a brighter pair. We love the navy suede or even the natural raffia! One reviewer said it perfectly when claiming this sneaker was the ultimate on-the-go goodness when pairing with any and every outfit. The near-perfect rating is so understandable with the countless success stories with this sneaker. Reviewers were onto something when saying this sneaker was oh-so-versatile, and we can’t help but agree! We can go on and on about why shoppers should consider slipping into these stylish sneakers, but the reviewers said it best when saying that these Steve Madden Gill platform sneakers were the trendiest on the market! 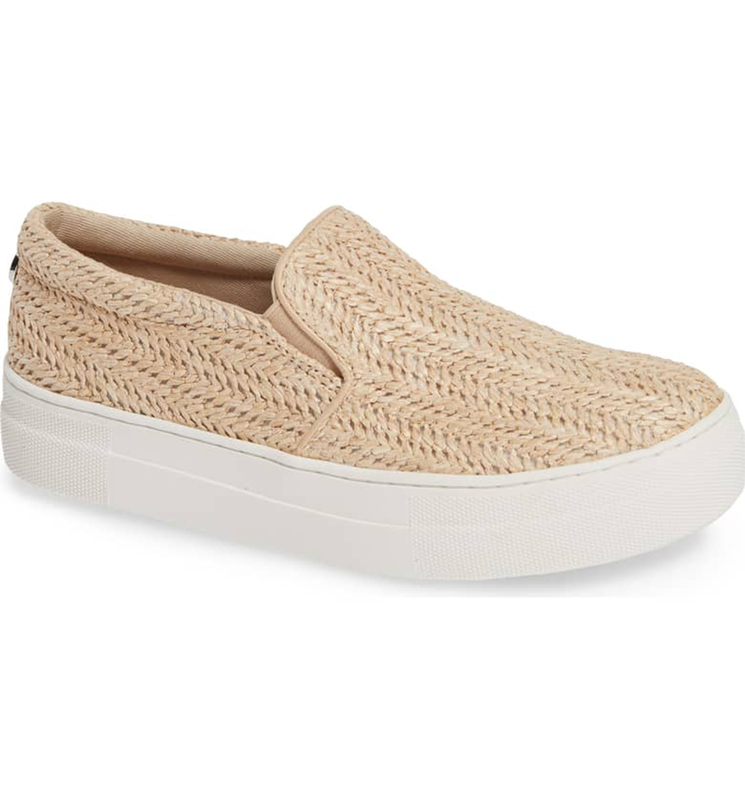 See it: Grab the Steve Madden Gills Platform Sneaker for $80 available at Nordstrom! Not your style? Check out additional sneaker options available at Nordstrom!